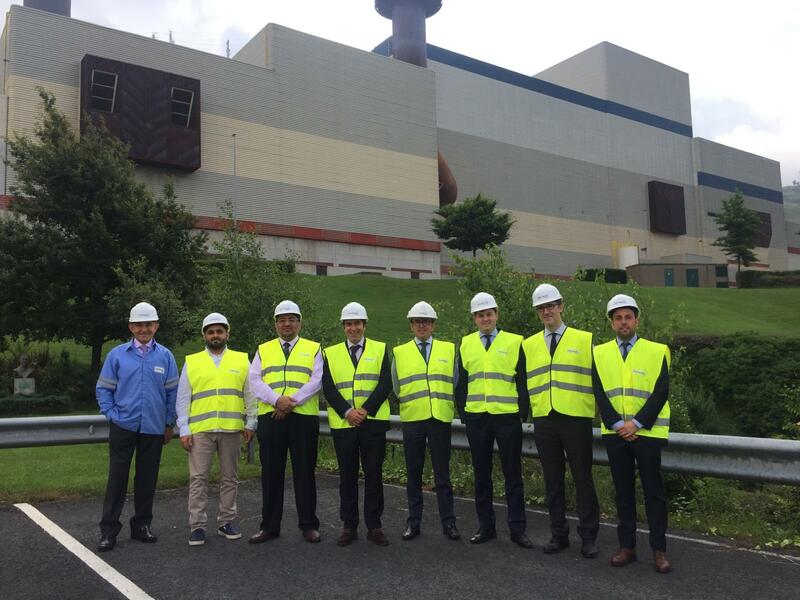 From 2nd to 4th July, two representatives from the Saudi Electricity Company and Dubai Electricity & Water Authority held several meetings and visited companies from the Basque energy sector, fundamentally focussed on two strategic areas for the Basque Energy Cluster: electricity grids and solar energy (photovoltaic and CSP). The week of 2 July, the Basque Internationalisation Agency organised a reverse trade mission that attracted the main two electrical companies from Saudi Arabia and United Arab Emirates. The Basque Energy Cluster jointly organised the meetings that both firms held with the Basque companies. SEC and DEWA had B2B meetings with a variety of companies and entities that represent the Basque energy sector, especially the electrical grid and solar energy sectors. These meetings took place in the Carlton Hotel in Bilbao, with the following Basque entities: HWS Concrete Towers, Zigor, Batz Energy, Tamoin, ZIV, Sener, Idom, Rebattery, Supra Systems and Relyum. In the following days, SEC and DEWA visited a variety of business facilities in the Basque Country. They visited the Zabalgarbi plant in order to find out which methods are used in the region to turn waste into energy resources. Visits were also made to Basque companies specialising in the electrical sector such as Arteche, Alkargo and Ingeteam, internationalised companies with great market potential in Arab countries. The final tours were made to companies and organisations that specialise in the renewable energy sector, especially solar and wind power. They visited the IK4-Tekniker research centre in Eibar and afterwards, the companies Hine and Glual,specialising in hydraulic equipment for wind turbines and trackers or mirror panels for solar plants.